Apple’s iOS 12 packed in a ton of features, but one of our favorites was Memojis, which expanded on Animojis. Rather than interacting as an animal, alien, or poop emoji, you can send a customized Animoji that looks exactly like you. Animoji was originally only available for the iPhone X, thanks to its TrueDepth camera, but that’s not the case anymore. The iPhone XS, iPhone XS Max, iPhone XR, and the 2018 iPad Pros all have the same camera technology, so you can now create and send Animojis and Memojis to more people than ever. We tested out the Memoji feature by creating our own. Aside from the extremely simple process, we enjoyed all the different customization options, from pink hair to blue skin. Memoji really lets your imagination run wild. Its accuracy wasn’t only apparent in the way it physically looked — we also enjoyed how quickly and realistically it picked up on our facial expressions. For those who can get their hands on a device that supports them, here is how to create and use Memojis. To create your Memoji, you have to head into iMessage and open a new or existing conversation. Look in the App Drawer at the bottom and select the Animoji icon, swipe all the way to the left until you reach New Memoji and tap the plus sign icon. You can now customize your Memoji based on a variety of physical features. Apple offers a multitude of options to make your avatar as unique as possible — like the ability to add freckles and choose from a wide range of skin tones and hair colors. You can also alter your head shape, eyebrows, nose, lips, ears, and more. Aside from physical traits, you can also dress up your Memoji. There are plenty of hats, headpieces, and eyewear to choose from that are also customizable by color. Under the ear section, you can also choose from a variety of earrings — hoops or studs. Once you are done creating your Memoji, all you have to do is tap Done in the upper-right-hand corner. It will then live in the gallery alongside the other Animojis in the drawer. If you ever want to switch the way your Memoji looks, tap on the icon with the three dots in the lower-left-hand corner and choose Edit. You will then be brought back to the same customization options as before to make your changes. If you want to have multiple versions of your Memoji available without having to constantly edit it, you can also choose the Duplicate option. To use your Memoji, open the App Drawer while in the iMessage window, select the Animoji icon, and swipe through to find your Memoji. Since your Memoji mirrors your muscle movements, you want to make sure your face is in view of the camera. Once you’re ready, tap the record button in the lower left-hand corner. As part of the new update, Apple extended the amount of time you have to record your Animoji — rather than 10 seconds, you now have 30 seconds. Once you’re done, you can tap on the record button again to end the recording — but it will only appear if you haven’t used the full 30 seconds. You can then watch it playback once, and can choose to watch it again by tapping on Replay above your Memoji. If you’re not satisfied, you can tap on the garbage can icon to delete it and try again. To send it, simply tap the blue arrow — the recipient can then play it from their iMessage window once it’s delivered, but you can choose to replay it as well by tapping on it in the message window. You can also add your Memoji into photos you take through the camera in iMessage. Once the front-facing camera is open, you can overlay your Memoji onto your own head, snap the photo, and send it. The same goes for FaceTime — while video chatting with someone else, you can apply the Memoji to live video. Even though Memoiji is the first of its kind for Apple, custom avatars aren’t new. 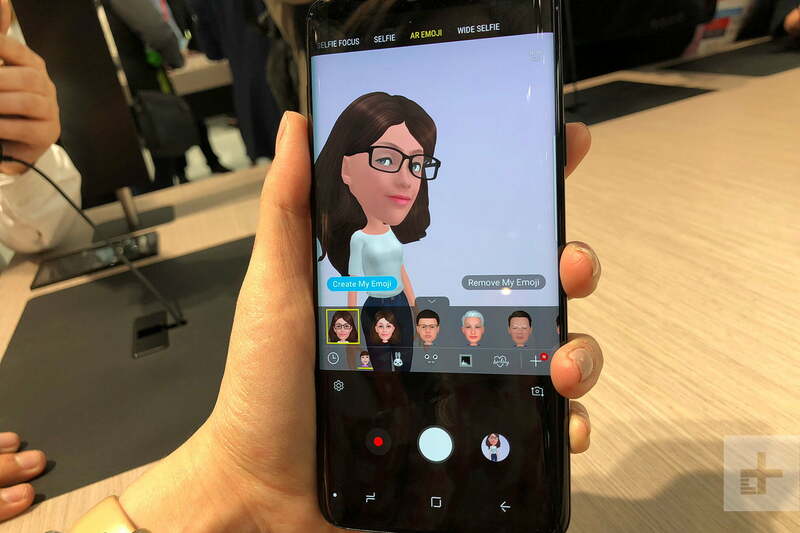 Samsung has AR Emoji — available in the Galaxy range since the S9 and S9 Plus — which has gotten mixed reviews. 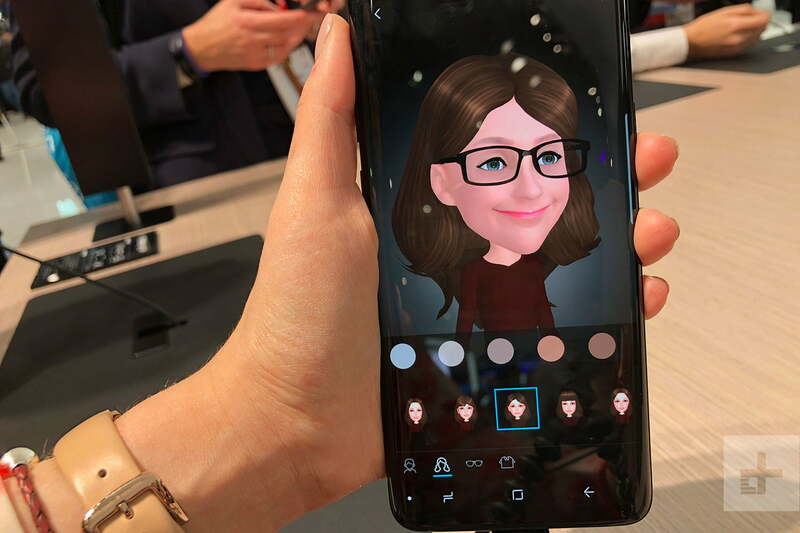 Rather than customizing it from the beginning the way you do with Memoji, AR Emoji creates the foundation for you using your selfie. You’re then able to alter it based on skin tone, hair color, eye color, and outfit. We felt ours looked inaccurate and didn’t allow for much customization in order to help make it look more realistic. It also didn’t capture our facial expressions well — our mouth and tongue movements seemed a bit off and awkward. 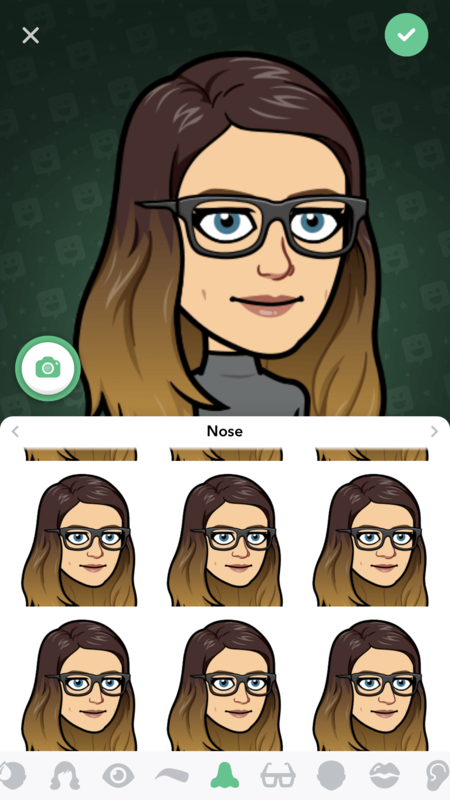 Apple’s feature can also be compared to Bitmoji — which doesn’t mirror facial expressions but can be used to create an avatar that looks exactly like you. Aside from the fact that you’re able to use it across all platforms and devices (rather than being restricted to the iPhone or Galaxy S lineup), there are also deeper customization options. 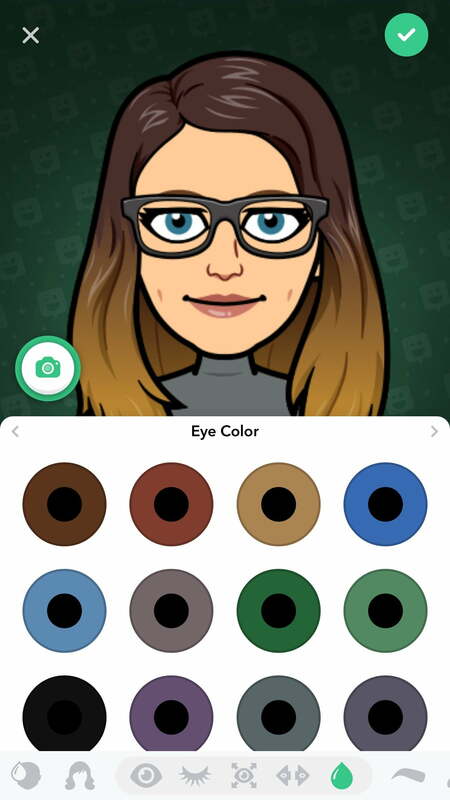 Bitmoji Deluxe allows you to alter anything from different hair treatments to minor details like wrinkles on the forehead, cheeks, or eyes — which resulted in us taking hours to create our Bitmoji. With Memoji, we found the feature had the right amount of customization and enjoyed creating it. The process is not only simple, but there are enough choices to make us feel content with the way it looks (without having to overthink it) and excited to actually send it out to people. We also appreciate the attention to detail in not only accurately capturing our facial expressions, but the way our hair also swayed from side to side when we moved our head even slightly. The entire Animoji family currently consists of only talking heads, and we do wish Memojis had bodies to go along with the heads. When using AR Emoji and Bitmoji, we’re able to express a bit more through hand gestures, which makes our avatars look that much more lively and fun. Plus, it would also be nice to have the option to customize outfits in addition to facial features. Having said that, we enjoy Memoji and they’re very easy to create and use.